Vancouver’s largest and most award winning burlesque troupe will be shedding their winter layers at the WISE Hall. 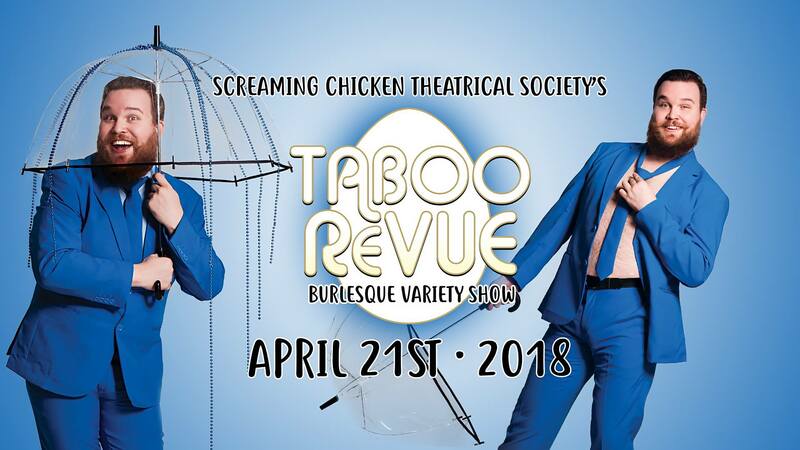 On Saturday, April 21st, a cast of over 20 teasers will tantalize your senses with an evening of dreamy dances, glamorous group numbers, and hilarious comedic antics – All in Screaming Chicken’s signature burlesque style. This Vancouver burlesque troupe was awarded “Best Large Group” and “Most Comedic” at the Burlesque Hall of Fame Weekend (2016), plus they have been recognized as the “Best Burlesque Troupe in Vancouver” in the Westender (2016 & 2017) and featured in the Georgia Straight’s Best of Vancouver 3 years in a row for “Best Burlesque Show” and “The Best Place to Holler at Performers Without Feeling Like a Jackass”.